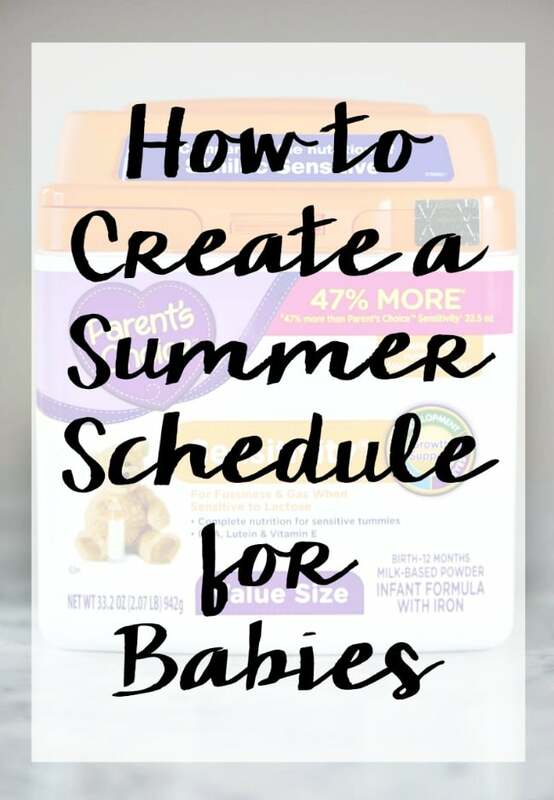 This post on Creating a Summer Schedule for Baby is a sponsored post on behalf of Mirum Shopper. All opinions are my own. The countdown to summer is on! According to the dry erase board in our dining room, we only have 23 days until we’re beach bound! We wait all year for this and the days of lounging around with no strict schedule to follow i something we’re all desperately in need of right about now. Let’s be honest though. When you have kids, you still need to have at least a loose schedule. You may be more flexible with your schedule than other times of year and not have to set alarms to know things like eating and sleeping have to take place, but I think the majority of us do better when we’re on a schedule and know we can expect meals, snacks, and sleep to happen at roughly the same time everyday. Especially for little kids. And even more so for babies. 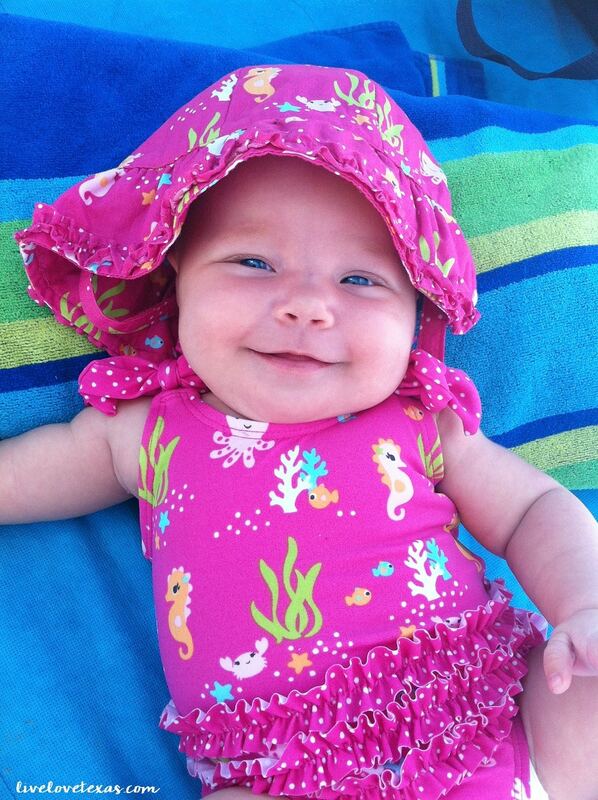 People are often shocked when I tell them Colby (now 5) had her first road trip to the beach at 3 months old. The usual 13 hour drive easily turned into 15 with such a little one along for the ride, but it wasn’t that bad. Brady (now 8) had her first road trip at 10 months and it was so much more stressful. The big difference between the two? Having a schedule for feeding and sleeping set up before we went on vacation. It may sound rigid but it really works! Just having a general idea of how your day will flow helps you to plan and actually enjoy your vacation. You’ve probably heard the old saying, “Never wake a sleeping baby.” And I agree as a newborn. Once they’re a little older, around 4 months or so, you’re going to want to start waking the baby to get them on your schedule. Having a general idea of what your day looks like will help you in knowing what to bring along on your vacation to keep baby happy and your family enjoying their trip. Knowing that you’ll have to add in a few nap times for baby, you might want to coordinate drive times to coincide with the nap or bring along a carrier or stroller so baby can nap while you’re doing other things. Whether you’re flying or driving, powder formula like Parent’s Choice® is lighter and easier to carry in bulk than the liquid kind. It’ll also make getting through security a bit easier and give you more flexibility by being able to portion out what you need for that day without carrying a huge container around. And, if you’re road warriors like us and prefer to drive instead of fly, you can make the most of feeding time by having a bottle ready. Formula makes for a convenient choice when you’re traveling in a car so that you don’t have to stop and can continue your travels while baby is satisfied and fed in their carseat. Whether you’re looking to create a feeding schedule for your summer travels or introduce formula as an alternative on-the-go for your breastfed baby, Parent’s Choice® baby and toddler products, available exclusively at Walmart, has you covered. 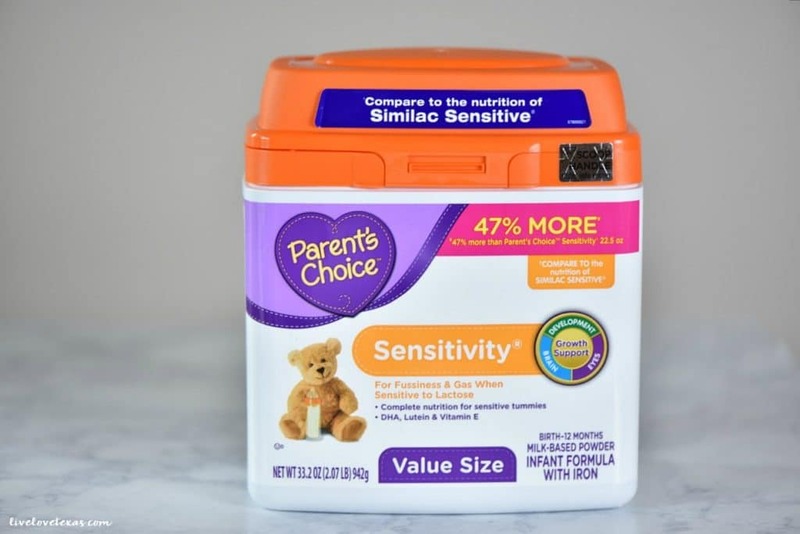 Not only can you save up to $600 a year over other brands, Parent’s Choice® formula is nutritionally comparable to more expensive brands, compliant with FDA nutritional standards, clinically proven to support growth and development, easy to digest, and proven to be tolerated by infants as well as national brand formulas. 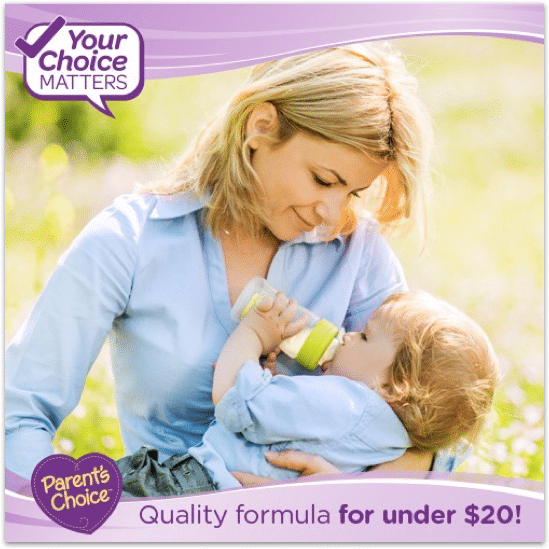 No matter what specific formulation your baby needs, Parent’s Choice® at Walmart has you covered! You can find it in the baby section of your local store to help with Creating a Summer Schedule for Baby!